The best steaks I’ve ever had, though, have been pan fried. This is the method that we’ll be exploring today. This is the method that makes my mouth water. First, start with good meat! Seriously, if you can help it, don’t skip this part! Eat meat less often and buy better quality. Hormone and antibiotic free, grass fed beef… Happy cows make delicious food! 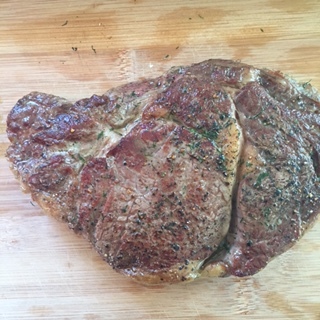 Steak, I chose ribeye because THE FAT! Yes, that’s where the flavor is, in that beautiful marbling. Whichever cut you prefer, bring it to room temperature prior to cooking. Place a pan on the stove on high heat. I wanted to use cast iron but my steak was too large to fit my skillet! Any pan will do, but cast iron is ideal for this. 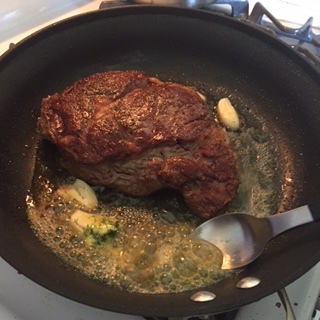 Immediately place steak in hot pan, searing it on all sides, about 30-45 seconds per side. 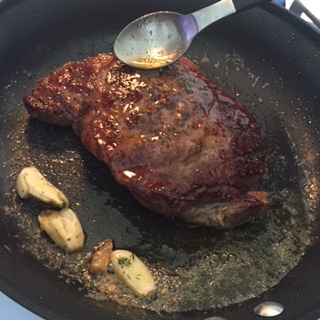 Toss crushed garlic into your pan and allow it to cook with the steak. Add two generous pats of dill butter to your pan and let it melt in with the olive oil. Begin spooning butter over your steak, basting the meat. Continue to cook steak until it reaches desired doneness. I prefer medium rare. A good way to test is to use your face as a guide. The steak should feel like your cheek for rare, your chin for medium and your nose for well… Skip the nose, though! You will ruin your steak if you cook it well done! I like somewhere between cheek and chin. Remove from pan and allow the meat to rest for about 5 minutes before slicing. 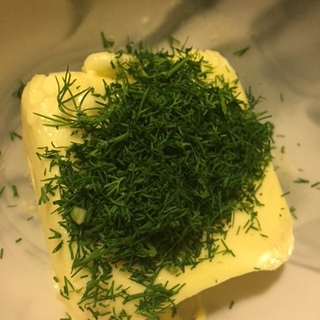 Take one room temperature stick of good quality butter and a quarter cup of finely chopped dill (stems discarded) and whip them until thoroughly combined. 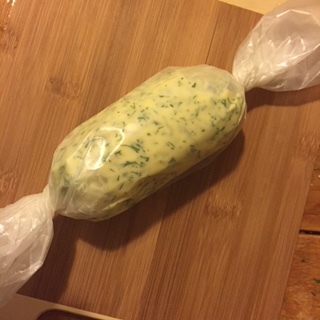 On a sheet of waxed paper, form butter into a log about as thick as a stick of butter, wrap and return to fridge until ready to use. 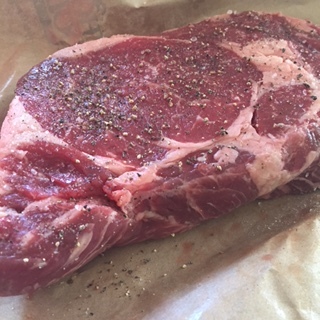 The steak that I bought was very large at almost two pounds. It fed two adults and four kids… It was BIG! I had to take care not to burn the outside by flipping it often. Be patient with this process. 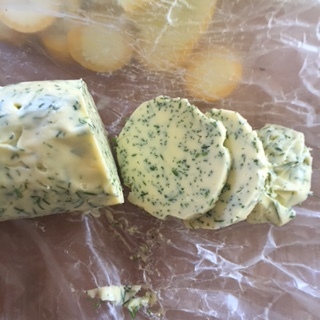 I used some of the dill butter to sauté some beautiful summer squash that my girl, Wendy brought from our friend Brandi’s garden. Hi Brandi! 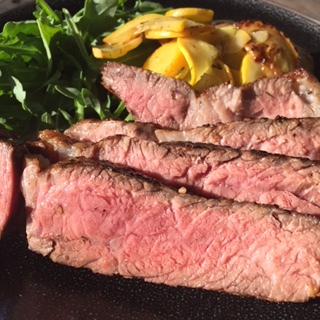 I tossed the squash with some fresh arugula and added my steak to the plate. There was absolutely nothing wrong with this meal. Next Post The Swearing Mom’s Giveaway!